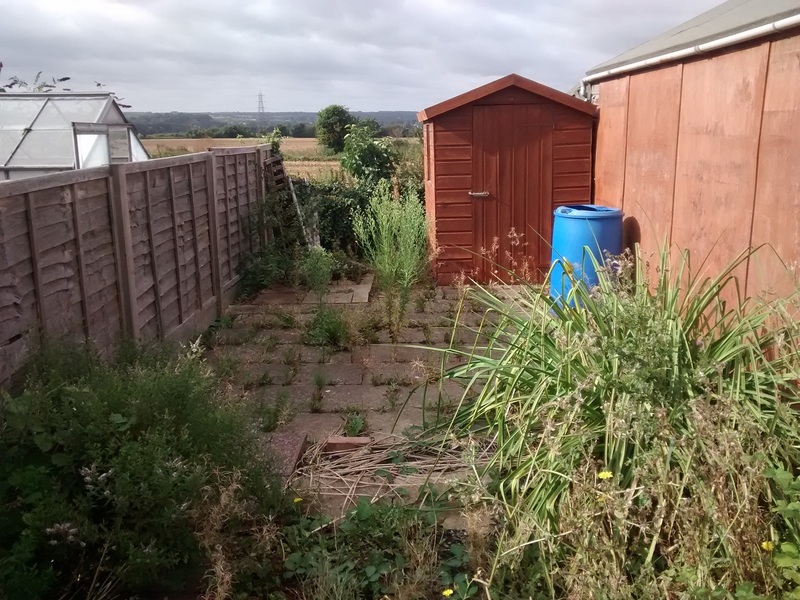 This rear garden in Eccles, near Maidstone, was overgrown, weedy and unusable. 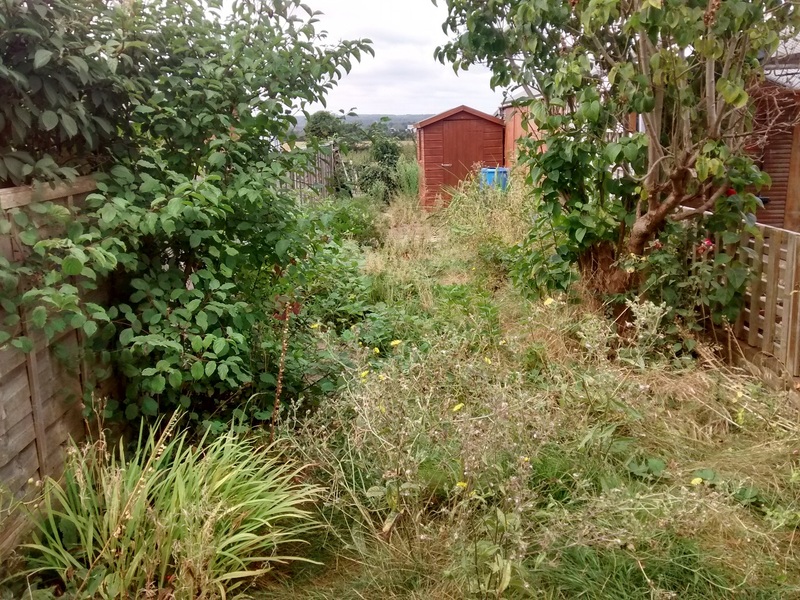 Underneath the bramble and wild shrubs was an unnattractive straight concrete path with an uneven and weedy patio at the end. 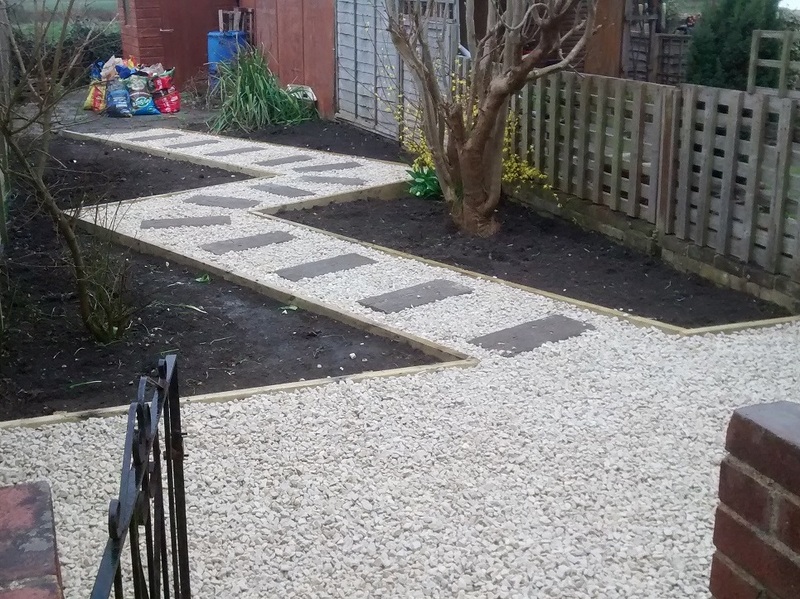 After an intitial clear of the unwanted plant growth and removal of the concrete path we had a blank canvas to work with. 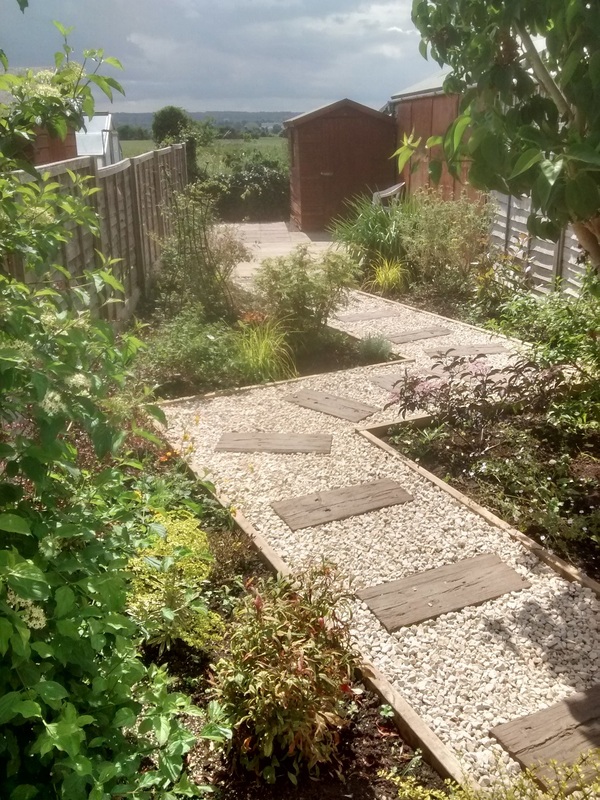 To make the best of the long narrow space we designed a zig-zag path leading from a rectangular seating area at the top of the garden. 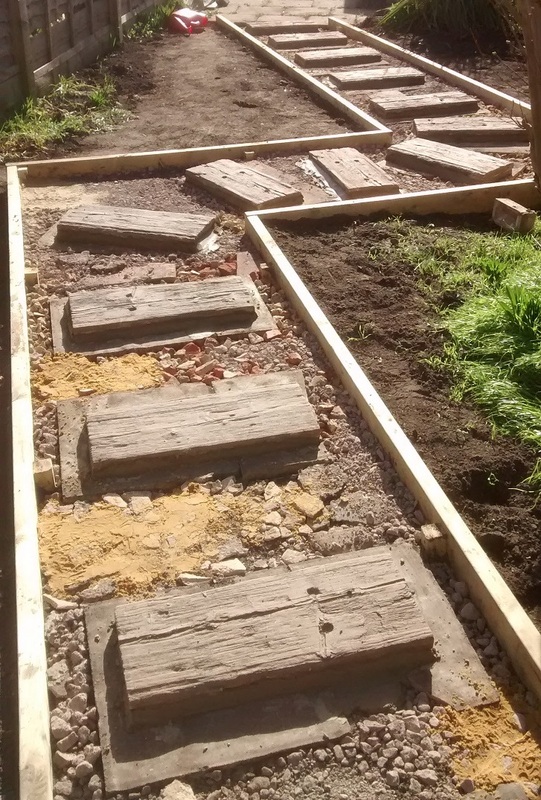 The path was laid out with a timber edge and we used concrete sleepers as stepping stones infilled with Cotswold buff chippings. We discussed with the client their planting requirements for the four triangular planting areas either side of the path. We sourced a variety of evergreen and flowering shrubs from a local nursery and completed the planting. 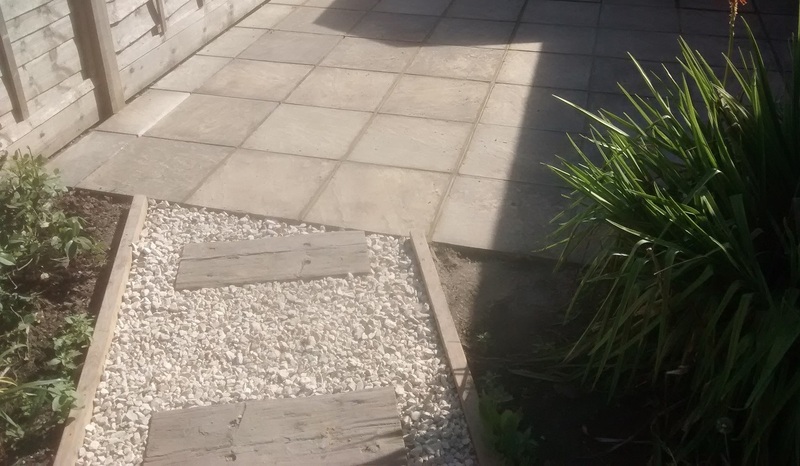 The patio at the end was lifted and relaid to provide a second potential seating area. The result is a lovely small garden full of plant interest and colour and pleasant space to sit out and entertain in. The whole project was completed in stages over a few months allowing each element to be budgeted for.